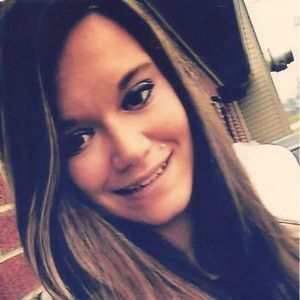 CENTRAL CITY - Jackilyn Ariel Denise Littlefield, 22, of Central City, died Sunday, December 27, 2015, in Greenville. Ms. Littlefield was born March 28, 1993, in Daviess County. She was a homemaker. She was preceded in death by her grandmother, Joan Latham; and aunt, Tresia Puckett. She is survived by her daughter, Hayleeannia; mother Rhonda Littlefield of Central City; father Dewayne (Jeannie) Littlefield of Central City; brothers Eric Littlefield and Camden Littlefield, both of Central City; sister Samantha Parsons of Graham; grandfather Ron Latham of Island; grandfather Jack Littlefield of Bremen; grandmother Frances Littlefield of Bremen; nephews Cameron Parsons and Myles Oldham; and several aunts, uncles, and cousins. Funeral services will be Thursday, December 31, 2015, at 11:00AM at Tucker Funeral Home in Central City, with Rev. Curtis McGehee officiating. Burial in Fairmount Cemetery. Visitation will be Wednesday after 5:00PM at the funeral home. Online condolences may be made at www.tuckerfuneralhomes.com. The beautiful and interactive Eternal Tribute tells Jackilyn's life story the way it deserves to be told in words, pictures and video. I did not know Ms. Littlefield, but I have been following the news about her. I want to send my condolences to everyone that knew her and prayers for her family and friends. I am so sorry for your loss. She seemed like she was a very bright light in this life. May she rest in peace, and may her family get some form of closure and peace. Your family has been and will continue to be in our hearts and prayers. Love to you Gram Pam. Prayers. I love you all. Rhonda you and your family are in my thoughts and prayers. May God wrap his arms around you and give you strength at this difficult time. My condolences to Ms.Jackilyn's family. I pray for peace of mind,comfort, and love through this tragedy. I love you and I will miss you. DEWAYNE , I'M SO VERY SORRY TO HEAR OF YOUR LOSS, MY THOUGHTS AND PRAYERS ARE WITH YOU AND THE FAMILY, RIP JACKILYN !!!!!!! My condolences go out to this beautiful young ladies family. I'm sending prayers for her young child. R.I.P beautiful. May God comfort your friends and family during these trying times.